We pride ourselves in being industry thought leaders with a lot of skin in the game. That is why we created EiQ: The Intelligent Email Gathering, an annual event focused on email innovation, and why we have written the book(s) on email. 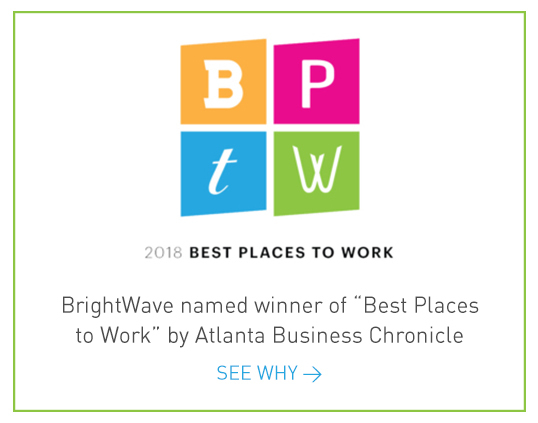 Browse the most recent BrightWave news, from the most recent articles we’ve authored to our latest case study or white paper. For those who don’t incorporate a lot of sea-dog lingo into their everyday vocabulary, a ship’s Quartermaster is an individual responsible for steering and navigation. He or she must keep the vessel on course, foresee potential setbacks and communicate their plans clearly to the rest of the crew. When you think about it like that, the role of Quartermaster here at BrightWave is surprisingly similar to that of these water-bound steersmen. Every year, we elect a company Quartermaster. This person sets the standard for how high we all can reach and, in return, they receive bragging rights for a year and a trip to the Ritz Carlton on Amelia Island. 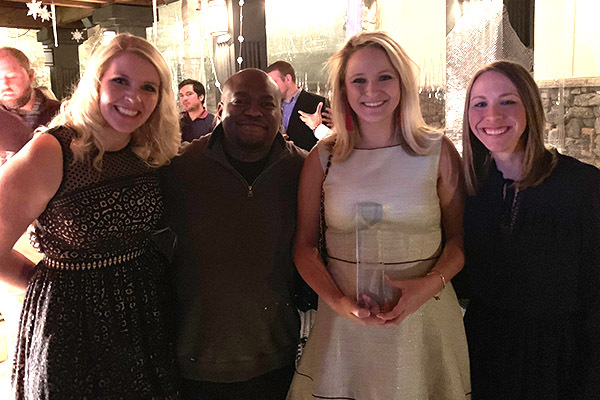 It should be someone who has shown dedication, collaboration, passion and success throughout the year and our 2018 Quartermaster Leah Ellin has certainly done just that. Whether she’s presenting a killer campaign analysis, bringing us all sustenance in the form of bagels or planning our monthly happy hour, Leah is always going the extra mile to make sure BrightWave is an amazing place to work. The Key to Success is… Data! AMP for Email is Here! The BrightWave Team has helped the Ninety Nine Restaurant & Pub build a strong and loyal following in our EClub. We have had the benefit of great service from multiple BrightWave team members since partnering with them in 2010. Let us elevate your email marketing program. Sign up for The BrightWave Report, a quarterly review of email marketing trends and news.